Can you give me a price for the HP LaserJet P1007 printer including all taxes and duties to Nanded City, with postage charges? Sorry, we don't sell printers and can only supply HP LaserJet P1007 toner cartridges within the UK. I've been using my HP P1007 cartridge for more than a month now so I want to check the status of the cartridge. How can I do this? What is meant by CC388A and 88 on a HP printer cartridge? Please give me more information about my HP LaserJet P1007 printer such as the HP P1007 toner number? The numbers you have quoted that appear on HP print cartridges are HP's offical product codes which identify each type of cartridge and allows you to easily check which printer models are compatible. The part number for the black HP LaserJet P1007 toner cartridge is HP 35A or CB435A. You can also buy this cartridge in a twin pack or as a compatible toner as listed above. How do I refill LaserJet P1007 toner cartridges? Unfortunately, we do not recommend refilling toner cartridges as the toner powder can be harmful. For this reason we're unable to offer advice on the refilling of HP LaserJet P1007 toner cartridges. You may be able to get the cartridges professionally refilled but this is not a service we offer. What online shop is a specialist in supplying budget HP P1007 toner cartridges? 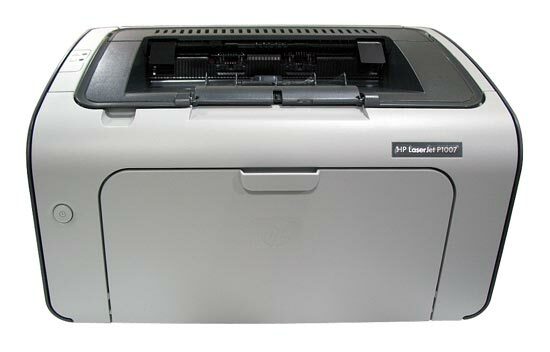 For the most complete range of the highest quality cartridges for HP P1007 laser printers, then you can find anything you may need and more today from Cartridge Save! It is our goal to deliver only premier quality laser printer cartridges. You'll not only have an assurance of high quality cartridges, you'll also get next day delivery for free. At Cartridge Save we do not concede for customer service or the high quality of our HP toner cartridges. You'll receive free overnight delivery which applies to every product bought from Cartridge Save. If you purchase with us today, it will arrive by tomorrow. In order to give you increased satisfaction, each HP P1007 toner that is ordered here also includes our comprehensive cash back policy. You can order confidently now from Cartridge Save. Every major manufacturer of printers has followed a similar trend in recent years. They are attempting to bring laser printers into the hands of anyone that needs precision and quality. The problem has always been the price as these laser printers can run double or triple the cost of a similarly built inkjet. HP's response to this problem is the LaserJet P1007. Hewlett-Packard tried to answer the question, can quality laser printers be practical in smaller offices? At 4.7 kg and 347 mm across, the LaserJet P1007 may be on the large side for a single function printer, but should be able to fit into even the most cluttered of offices. On the inside, the 2MB of memory are controlled by a 266 MHz processor. The body of the printer is quite plain as the face of the printer flips out to house the 150 sheet input tray and the output tray slants downward at the top of the machine and holds just about 50 sheets. A single power button, a jam button, and 2 LEDs are the only controls on the entire printer. The HP P1007 toner cartridges are replaced by opening up the cartridge bay and snapping them into saddle-style holsters. The best feature of this printer is its balance of simplicity and quality. It is one of the most reasonably-priced printers on the market and can still produce very crisp prints in both colour and traditional black text. Setup could not be easier as the driver CD shows small illustrations and animations to go over installing the HP P1007 toner replacements, manually creating double-sided prints, and working the controls and power-save modes. From a cold start the first print comes out in just under 8 seconds, making it quite fast for a home unit as well. Outside of basic prints, the LaserJet P1007 does not perform any unique functions. There is no collating, faxing, wireless connectivity, or scanning with this printer. While the included software is very simple, it would not have hurt to include a few more features such as a tray for printing on alternate page sizes such as letters or postcards. Other than these few small complaints the Laserjet P1007 remains a decent entry-level laser printer.